A garage door is one of the most used parts of a property, which demands regular maintenance to stay in a good shape. If done at the right time, in the right way, and by trained professionals, periodic maintenance neither demands too much time nor entail large costs. Extreme heat, like extreme cold, however, can lead to a number of problems in a garage door. With the mercury soaring, it is important to give residential and commercial garage doors the seasonal care they need. Continuing on the subject, in this blog post, we discuss how to prepare garage doors for summer to help ensure glitch-free performance throughout the season. Read on. Look for any signs of wear and tear in the moving parts, such as hinges, springs, and cables. If you notice any indication of stress, tension, or the possibility of breakdown at any time, contact a garage door company such as OGD LLC that is specialized in handling repair and maintenance tasks. Sometimes, problems with a garage door are not too evident to a layman’s eyes. Hire a garage door specialist who can take note of even the minutest issues in garage doors. Never attempt to repair garage doors on your own. Clear all the unused items piling up inside a garage, without which they can become a breeding ground for pests. Check for any unwanted gaps in the door that can let in dust, rain, and debris. Make it a point to clean the entire garage every month. You may use a mix of a gentle soap and water or even car wax, depending on the amount of dirt accumulated on the garage door. During cleaning, inspect the garage door for any warning signs such as rust or cracks. Call for professional help to avoid further deterioration, damage, or accidents. Periodic lubrication is essential for smooth functioning of a garage door. Lithium grease or a silicone-based lubricant works fine with hinges, rollers, and tracks. But don’t overdo with the application of the lubricant. You want just enough lubrication that is sufficient to make your garage door run smoothly, but not so much that it promotes the build up of dirt and grime. To know the right kind of lubricant product and method to apply, talk to one of the leading garage door service companies in Dallas such as Garage Door LLC. Garage doors need to be energy-efficient to keep the garage cool and save electric bill during summer. Proper insulation and weather-stripping are a necessary part of preparing a garage for summer. Check the edges of your garage door to see if the existing weather stripping is coming apart or fraying. If you find anything that is of concern, schedule an inspection by a garage door repair professional to determine how the insulation is holding up and whether it needs any repair or replacement. Looking for Garage Door Repair in Dallas, TX? Homeowners and loading docks rely heavily on garage doors on a daily basis. That’s why normal wear and tear is only to be expected on these doors. 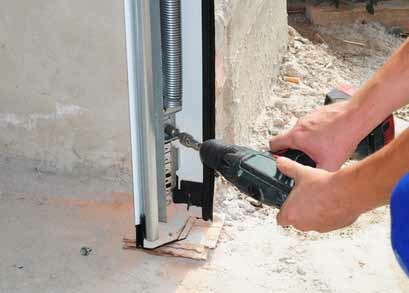 Routine inspection, repair, and maintenance work can keep garage doors working as they should. If you need any help with your garage door this summer, OGD LLC can help. We’ve been working with home and business owners in nearly a dozen cities in Texas, including Dallas. You can count on us for all kinds of garage door services including garage door installation and garage door spring repair. To schedule an appointment, simply call 800-471-4505, or fill out our contact form and we will take it from there.